On 11 January 1939, John, aged 23, married Mary Maud Case, aged 20, daughter of Arthur Phillip Case and Olive Ruby May Ellis. He died on Sunday, 27 March 1994, aged 78 years, 9 months and 23 days. John was born in Port pirie but spent most of his life at Crystal Brook, South Australia. After John and Mary married they lived in Crystal Brook for 8 years. John joined the R.A.A.F. in World War 2 and served in Darwin, Northern Territory. After discharging out of the R.A.A.F. John joined the railways as a ganger working on the rail line . 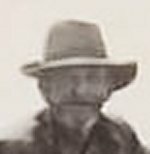 He served 1 or 2 years at Merriton, 2 to 3 years at Brinkworth, about 1 year at Jamestown and about 2 years at Kadina at the race course between Kadina and Wallaroo. John and Mary bought a house in Beaton Street, Wallaroo and became self employed as a painter & plasterer. John achieve a good reputation as a painter. After a while John and Mary moved to Elizabeth and in 1965 they split up. [S2] Birth Registrations, S.A. Births 1907-1928, Book 960/Page 418. 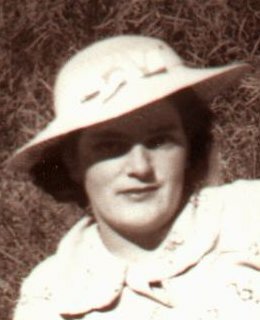 Mary Maud Case was born on 9 November 1918 in Melrose, South Australia , daughter of Arthur Phillip Case and Olive Ruby May Ellis. On 11 January 1939, Mary, aged 20, married John Albert Charles Talbot, aged 23, son of John Henry Talbot and Eliza Alice Oxlade. Kevin John Talbot was born on 30 March 1940 in Crystal Brook, South Australia , son of John Albert Charles Talbot and Mary Maud Case. 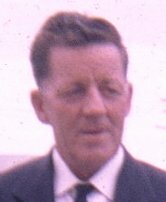 John Henry Talbot was born on 4 August 1893 in Huddlestone, South Australia , son of Charles Talbot and Ellen Bradock. Eliza Alice Oxlade was born on 1 September 1895 in Bowden, South Australia , daughter of Henry Robert Thomas George Oxlade and Edith Mary Jane Clarke.